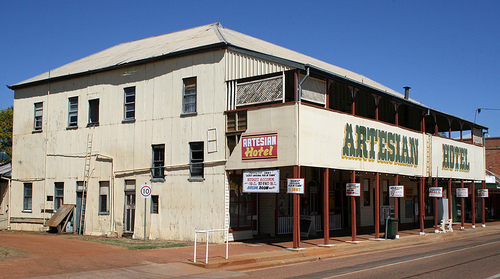 Barcaldine is a town in the outback Queensland. East of Longreach in inland Queensland, Barcaldine is an outback town with five pubs and about 2000 people in the middle of cattle and sheep shearers’ country. It has also been called “the Garden City”, because it is green, thanks to its supply of artesian water. 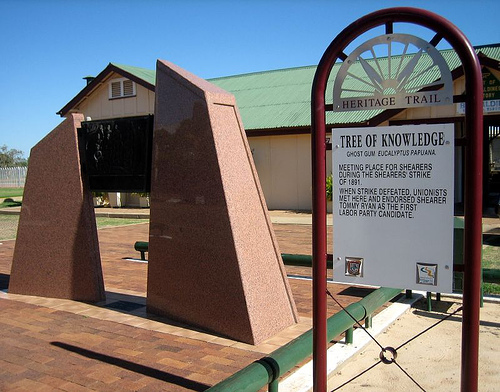 It has got an interesting history and some great old museums and buildings, but its most famous landmark is the Tree of Knowledge – more popular than ever after it was killed in April 2006. 2006 was year full of happenings in Australia. Not long after the devastating Cyclone Larry and the rescuing of the Beaconsfield miners in Tasmania, newspapers were selling well again when somebody had poisoned the Tree of Knowledge in Barcaldine. Locals had noticed it drying and the soil samples taken to a lab showed that 30 litres of glyphosate had been poured on its roots. The tree died later in the year despite all the attempts to save it, but it has since become more popular than ever before. This 150 year old eucalypt was the meeting place during the Shearers’ Strike in 1891 and the symbol of Australian workers and Labour Party. Sheep shearers, many of whom were previous convicts, not very educated and out of opportunities to get a better job, were employed by rich graziers during very bad conditions. They worked long days and earned little money, and they had to pay bond money which they lost in case they would in any way breach the very strict contract which basically made them almost slaves. This caused two shearers’ strikes in the end of 1800s, which improved their working conditions and lead to the formation of the Australian Workers Party. 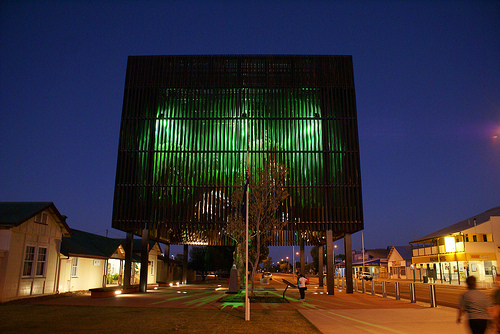 Since the Tree of Knowledge used to be their meeting place during the strike, it had become a symbol for workers’ rights. 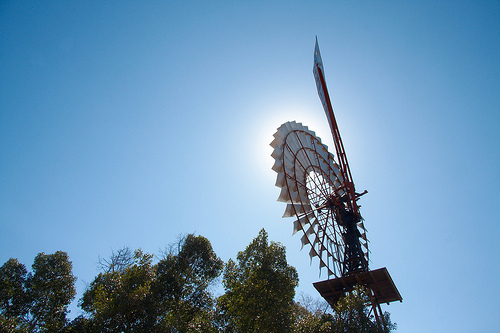 With all this workers’ history, Barcaldine’s largest and most famous museum is the Australian Workers Heritage Centre. It is a large outdoors museum where you can go in to different buildings such as an old railway station, police watch house, a labour house, powerhouse and an old one-teacher school. There is also a big tent house with displays about the shearers’ strike and Aboriginal people, a Workers Wall with old photos, Old Hospital Ward, replicas of an old courthouse; Australian Bicentennial Theatre which toured Australia in 1988 during the Australian Bicentennial celebrations, and two exhibition blocks with displays about emergency services (old fire trucks etc), women in Australian workers history, women in war, apprenticeships and traineeships. It’s a great place to spend a few hours and learn about Australian workers’ history. 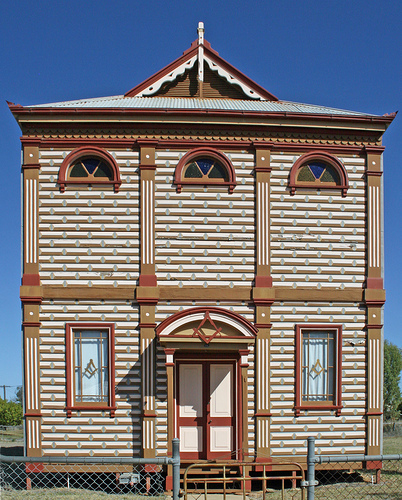 There are a few other things to see in town – the beautiful historical building Masonic Lodge (built on 1901), St Peter’s Anglican Church, and the interesting Barcaldine & District Folk Museum in an old bank building, which contains all sorts of old items both in and outdoors. South from here is the Mad Mick’s Funny Farm - a fun place with old buildings, art galleries, a shearers’ shed, a House of 1000 Dolls, old cars and a small wildlife park with emus, possums, kangaroos and wallabies. There is a large artesian basin under this part of Queensland. It is an underground water source that extends from here all the way north to Gulf Savannah. Most of the towns that are above the artesian basin use artesian water as their only water source, and Barcaldine is one of them. There is a large artesian bore north from the Mad Micks’a place, and north of the railway you can visit a historical bore site. 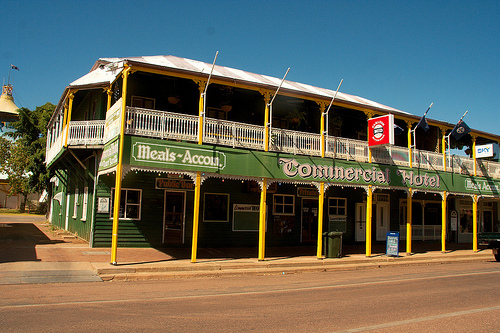 There are many hotels (pubs with rooms upstairs) in Barcaldine so you’re not likely to run out of places to stay. 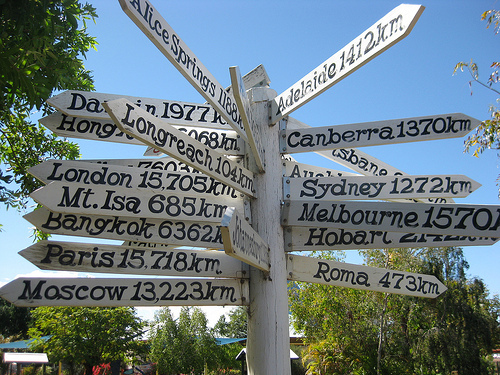 Apart from the hotels, there are the Ironbark Inn Motel and Restaurant, Blacksmith’s Cottage Bed & Breakfast, and Landsborough Lodge Motel. One of the best caravan parks is the Homestead Caravan Park. They put a nice outback show on with damper, billy tea, all sorts of outback stories to be told, and live country music. Very friendly owners and a great atmosphere. There are often some fairly famous outback singers, and storytellers like Tom Lockie – a funny outback larrikin who has an endless amount of outback stories. He is also the operator of some of the best tours around Barcaldine – Artesian Country Tours which will take you to different places in the area. It is very popular and gets excellent feedback. Here's an Australian outback map showing Barcaldine, where I have tagged the places that I mentioned on this web page. You can click on the tags to see what places they are, and double-click anywhere on the map to zoom it in and see the places closer. Drag the map to move around, and if you want to see the satellite image with Google Earth, click on "Sat" in the top right hand corner.